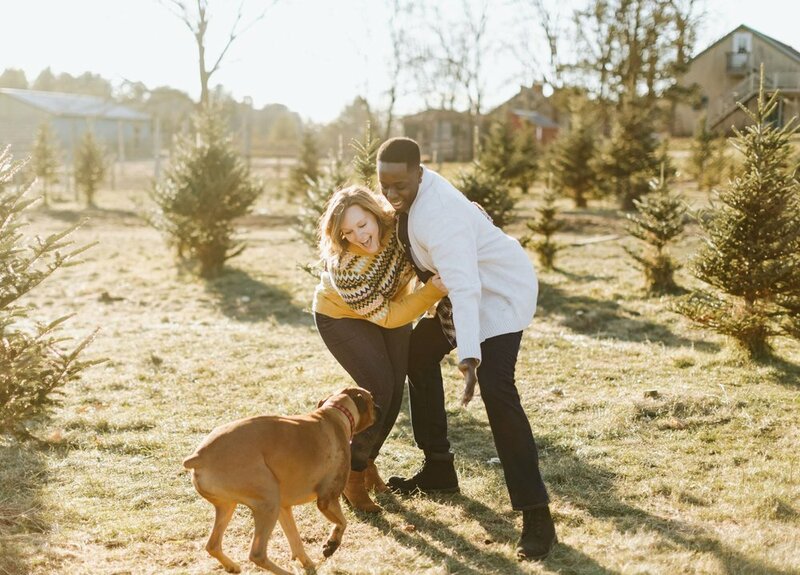 Stephanie & Ivin love a few things: each other, a good bottle of champagne, skiing, traveling (especially to Chicago, or anywhere warm), cheering on their Boston sports teams, ramen date nights, and above all, their adorable Boxer pup, Django. 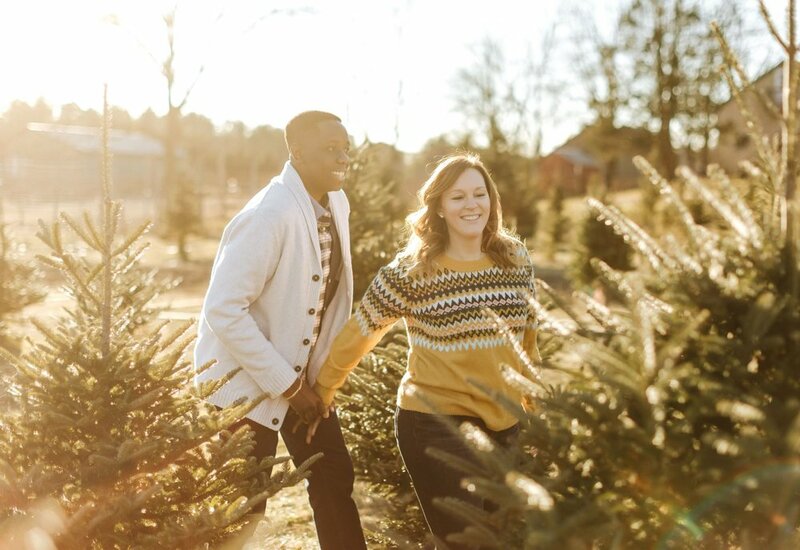 Ivin popped the question this October, so the two celebrated their recent engagement winter in true New England style: at the adorable Greenwood Tree Farm in Billerica. They went home with a perfect tree to decorate, AND hot cider & doughnuts. CONGRATS Steph & Ivin on this amazing chapter!!! 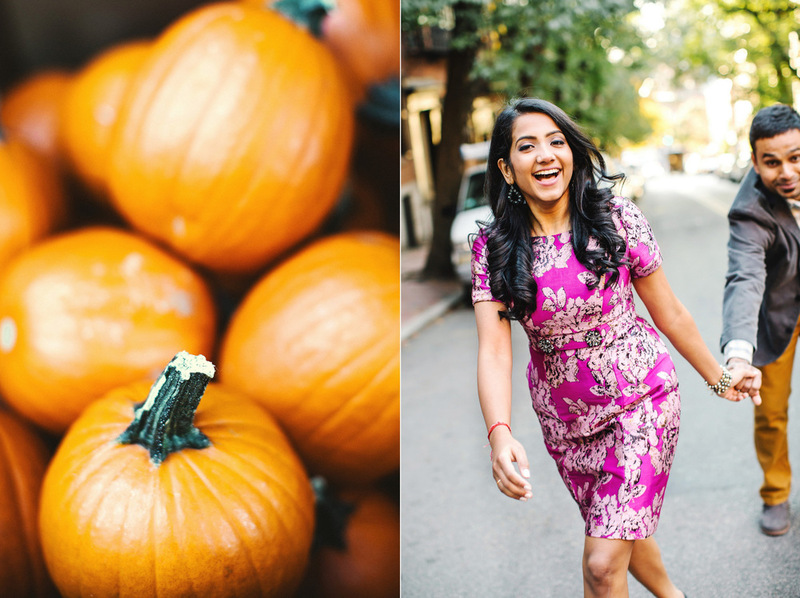 Want to see more New England engagement inspiration? 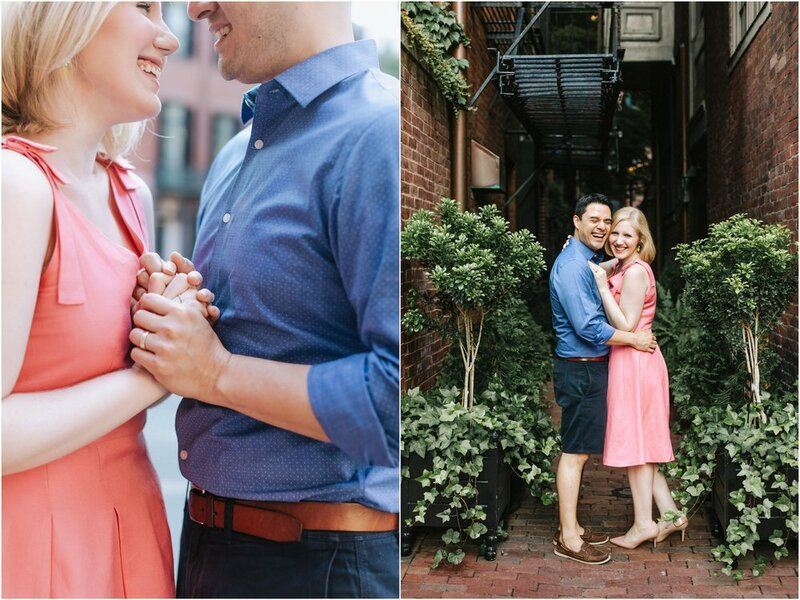 Boston is a very sentimental place… especially for Kate & Emmanuel. This is where their life, their home, and their love story lies. I had the honor of photographing Kate and E for their first anniversary - lucky in love, married goofballs who jive to classical music (how they met in college - flute and clarinet players! ), E’s homemade margaritas, and late night trips to Target. 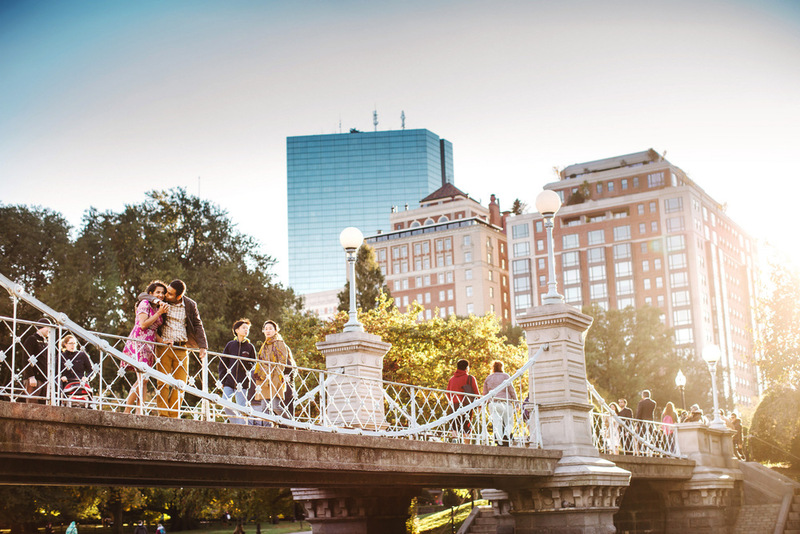 They hit all their favorite places - Beacon Hill (where they love taking walks) and the Esplanade (where they picnic and listen to live music). Show these cuties some love! There's nothing lovelier than spending springtime in Boston with the one you love. 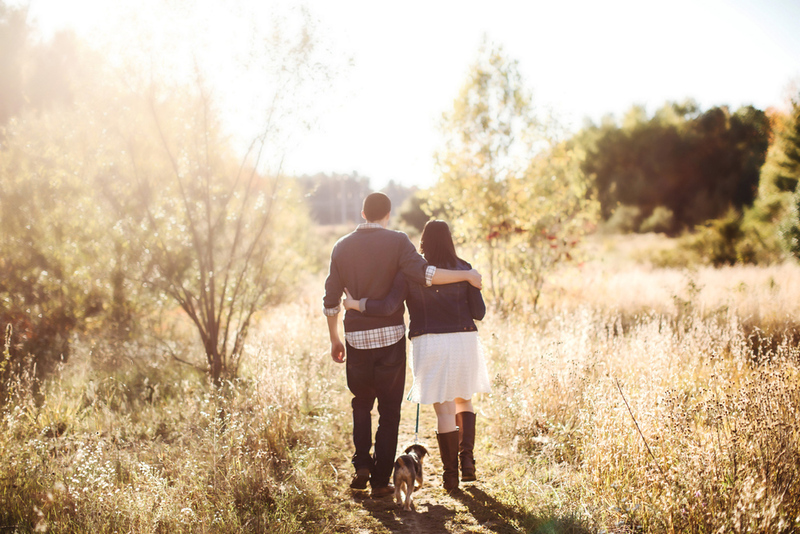 Cassandra & Chris: lovers of hiking, kayaking, and planting their garden together - with their beloved pup, of course! 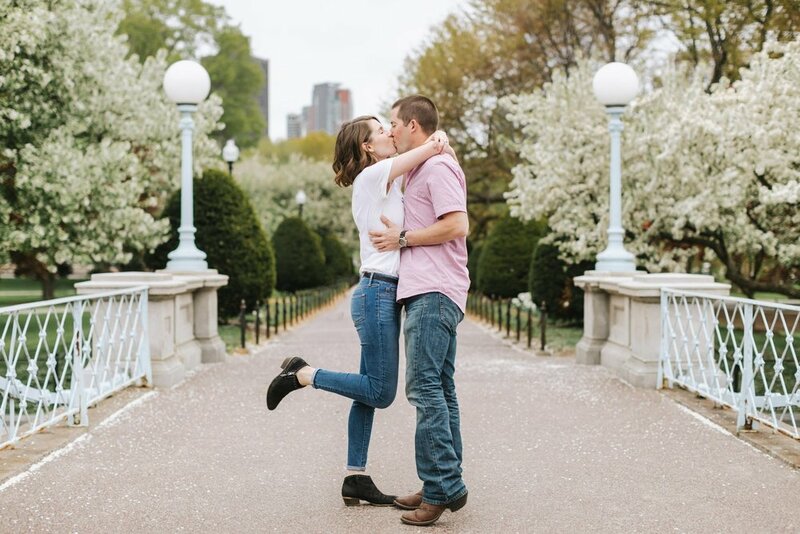 Chris lived in Boston for years before moving to New York with Cassandra, so they decided to road trip back to the city for their urban engagement shoot at the Boston Public Garden! They practiced their first dance (and learned they may need a little MORE practice), popped a bottle of champagne (even though they love peach-flavored booze better) and smelled the spring blooms before the rain came. 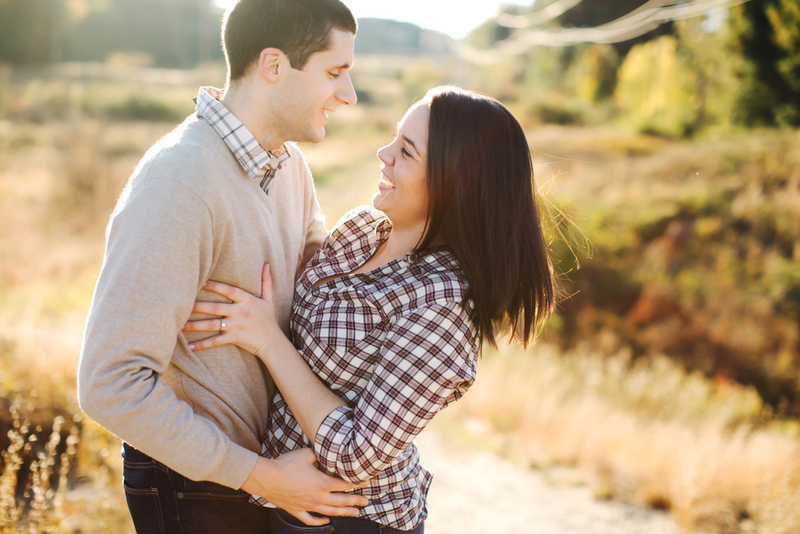 They’re tying the knot in the Berkshires this summer - can’t wait to get the party started! 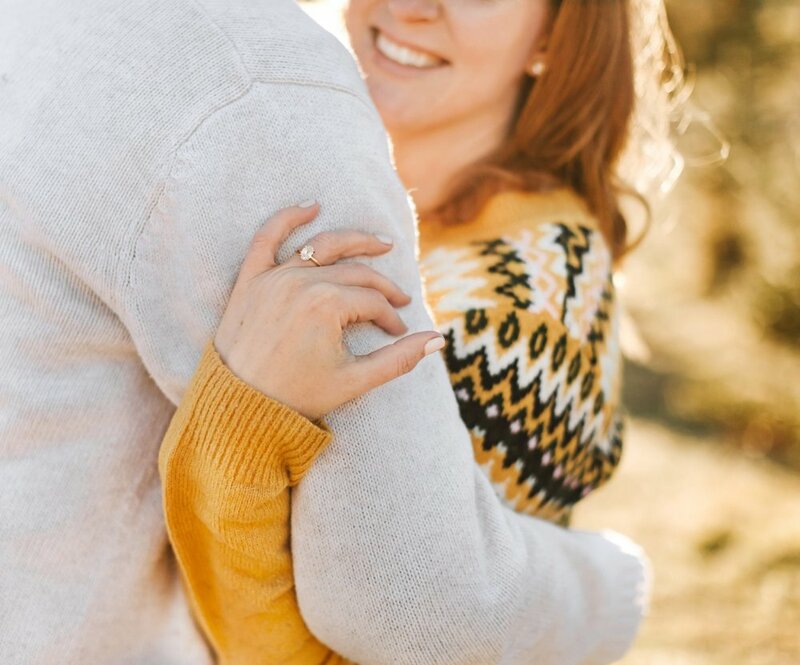 Lovers, bakers, cat-lovers, shakers, Jacki & Dustin are getting MARRIED! 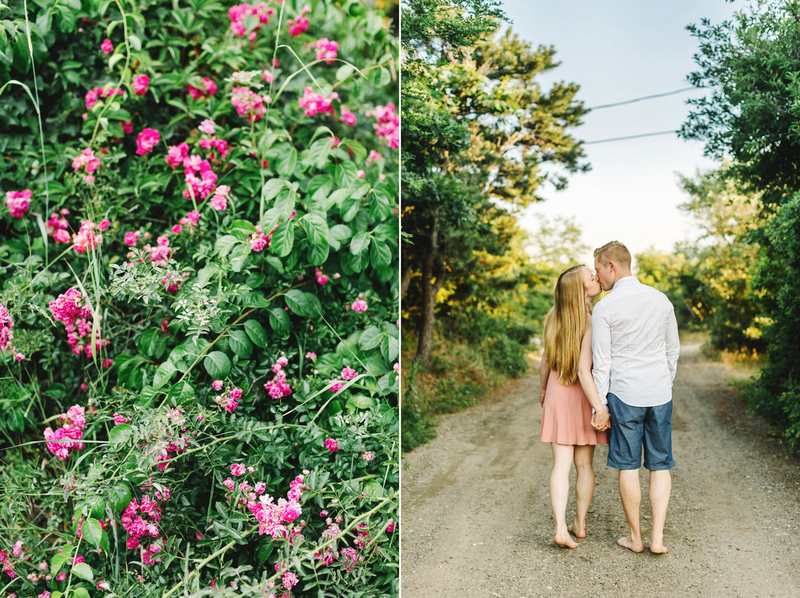 Check out their champagne-filled engagement shoot at the Arnold Arboretum in Boston - in FULL BLOOM! Pumpkins, pink roses, and cupcakes, oh my! 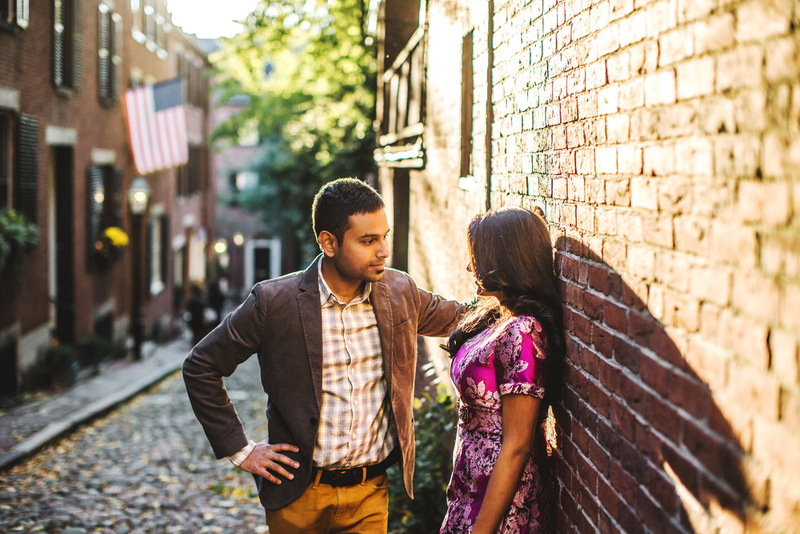 This quintessential Boston engagement shoot will leave you speechless! 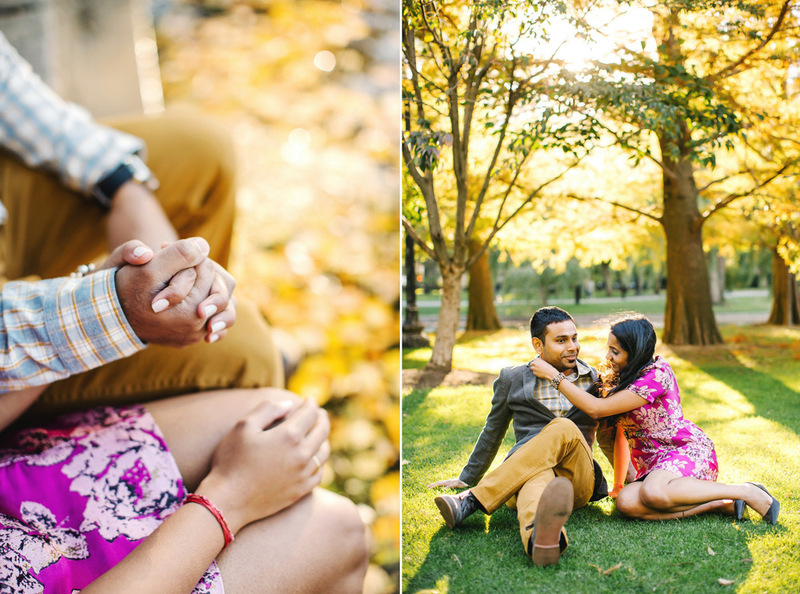 From Beacon Hill to the Public Garden, Chelsea & Roger rocked their fall session. 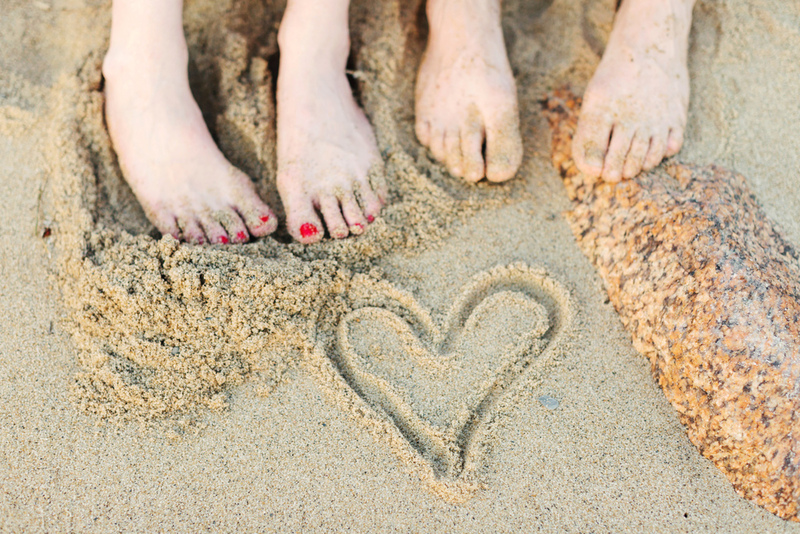 A few years ago, Stephanie fell for John... no, really - she tripped over his foot. After persistently asking for Stephanie's phone number three times afterwards, she gave him her email address - you know, just in case. 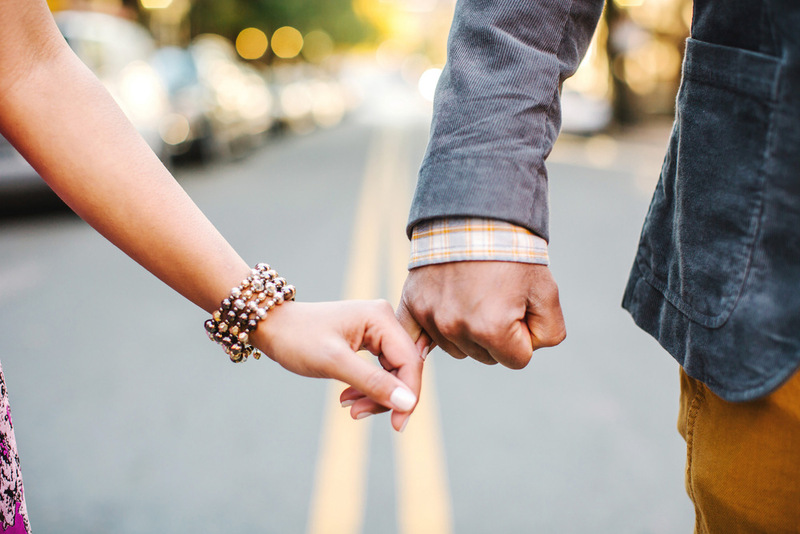 They began to exchange love letters in the weeks following, and before they knew it, they were in love. As Stephanie says, "We had so much in common, yet we are still so different, from the very start. I am a very detail-oriented, Type A, future-oriented person. John is more laidback, spontaneous and always cracking me up even when I am stressed. We balance each other out." 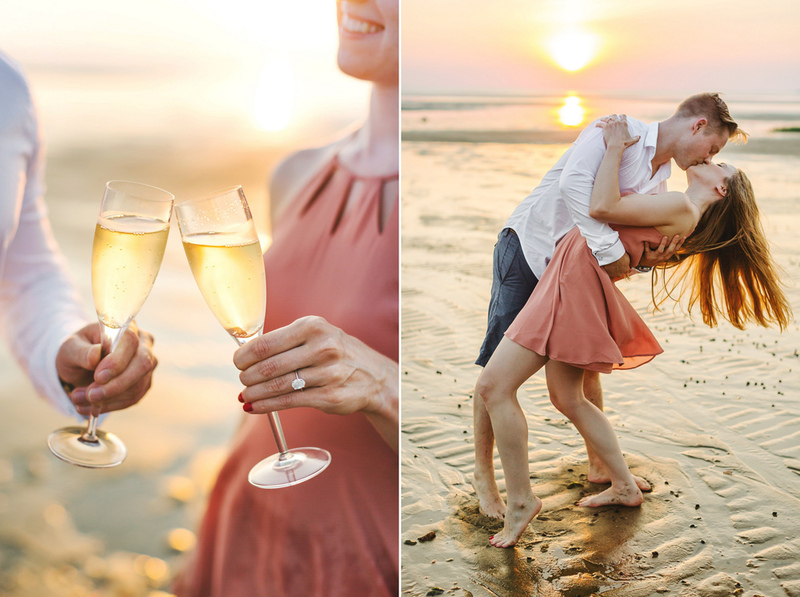 John proposed to her in a vineyard in Rhode Island in May, and they're so excited to get married! 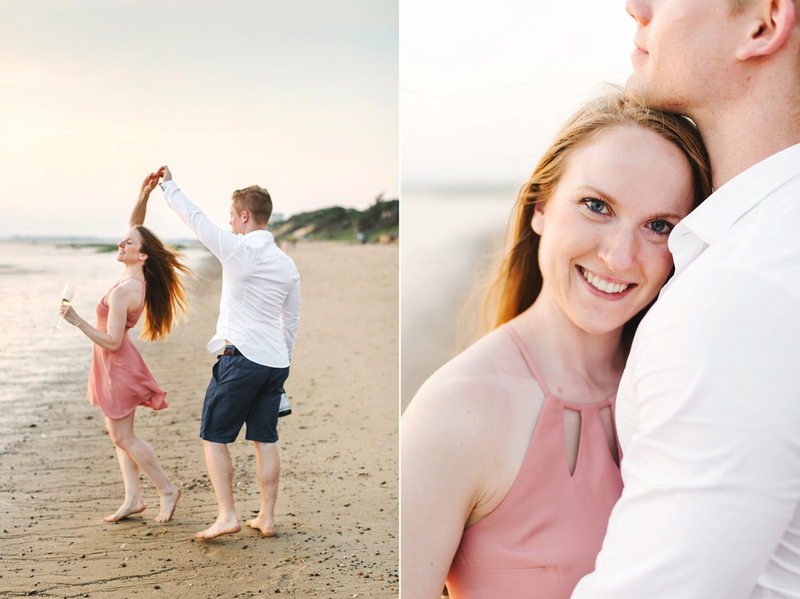 Stephanie & John's dream engagement shoot took place at John's family's home on Cape Cod. This beach front beauty was built from the ground up in 1951 by John's grandfather - how amazing! 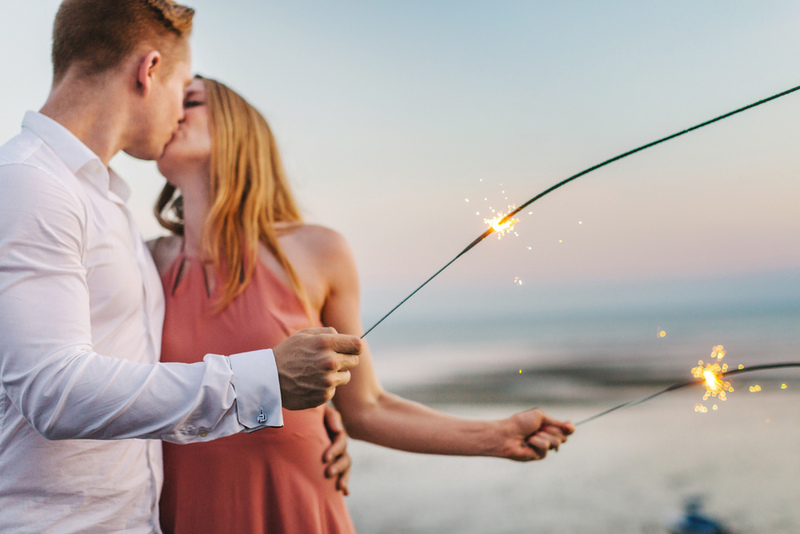 We started with pizza, took a walk around the charming neighborhood, and then popped champagne on the beach and lit some sparklers to conclude the night. Amazing is an understatement! Sanjiv & Thithya pretty much took the cake for LM’s Best Dressed 2k15. Not that there was a contest or anything, but when they walked out of the Arlington T station, I was bubbling excitement at the fact that they were my clients. 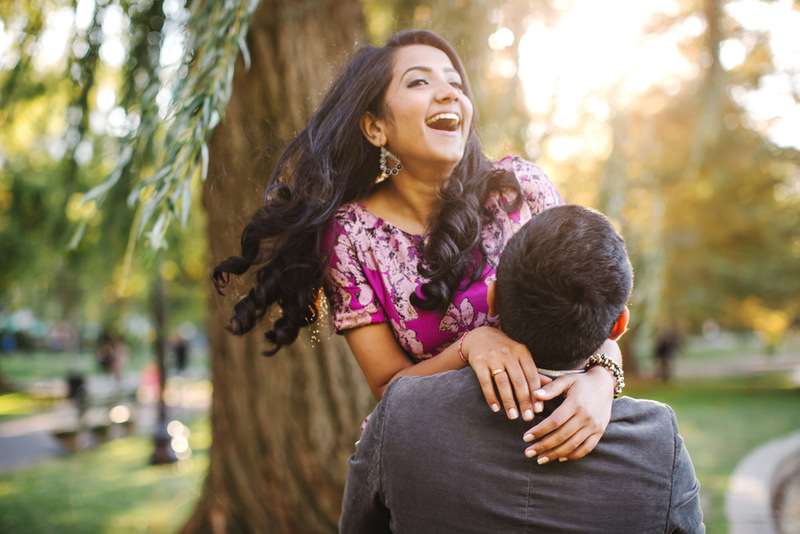 Thithya flew into Boston from Colorado the previous day, and not only were they both just so excited to see each other again, they were excited for their engagement session that was now three months in the making! 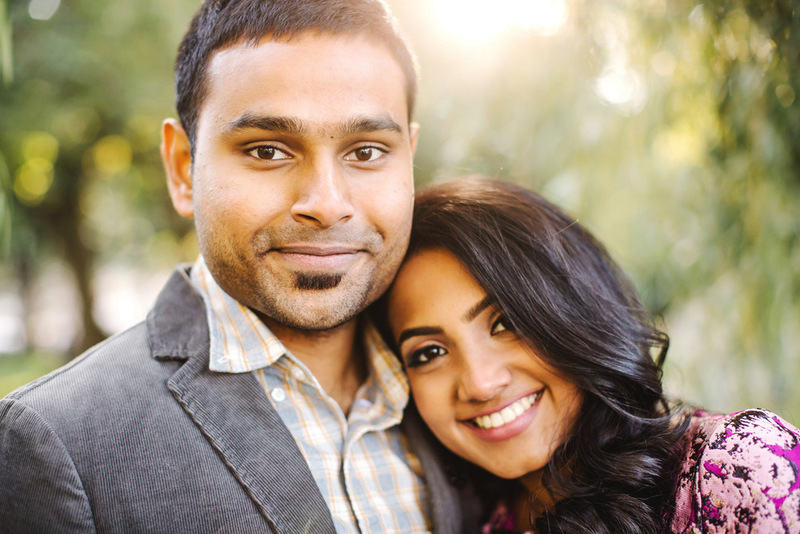 They’re tying the knot this February with a traditional Indian wedding, and they’re proud to say that their families really love each other and that they’re looking forward to all the amazing food and celebration that will be taking place in their honor. 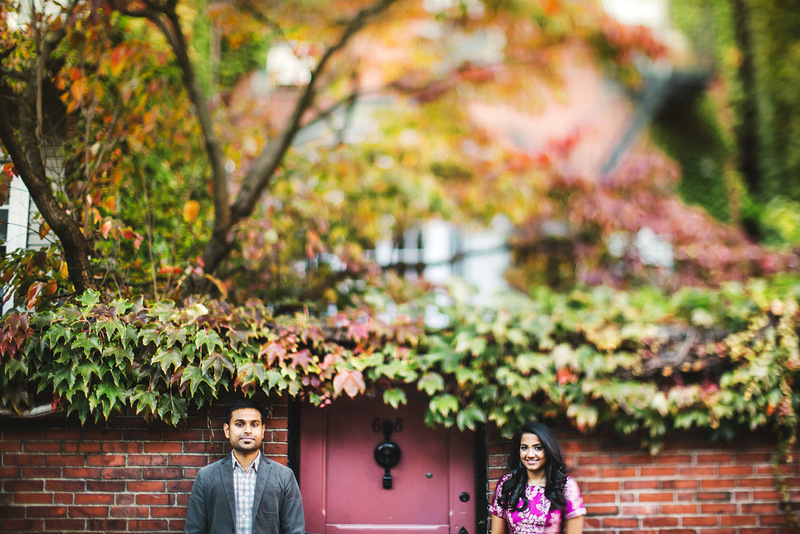 For all my Boston shoots, I always start with the gorgeous willow trees in the park, and spontaneously choose which direction in which we will break off - Newbury Street, Chinatown, Copley, Downtown Crossing… but on this crisp fall day, we were walking through the park, and Sanjiv asked, “Can we go to Beacon Hill after this?” I was thrilled; to Beacon Hill we went, and the rest is history. Amanda & Adam, two peas in a pod. 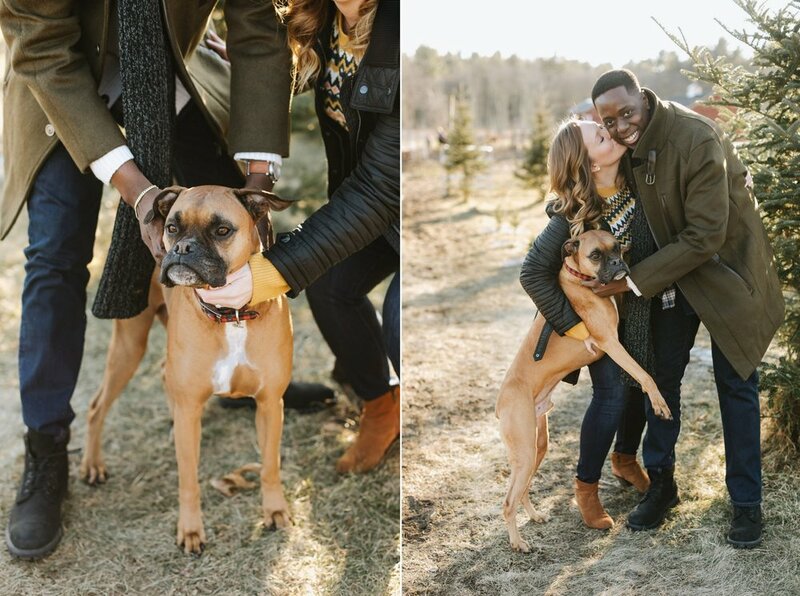 The pair met at Lafayette College four years ago, and fast forward a few years full of love, kisses, a home, and a little pup named Toby, Adam popped the question this spring. She said yes... and #aturnsgrey next fall in New Jersey! 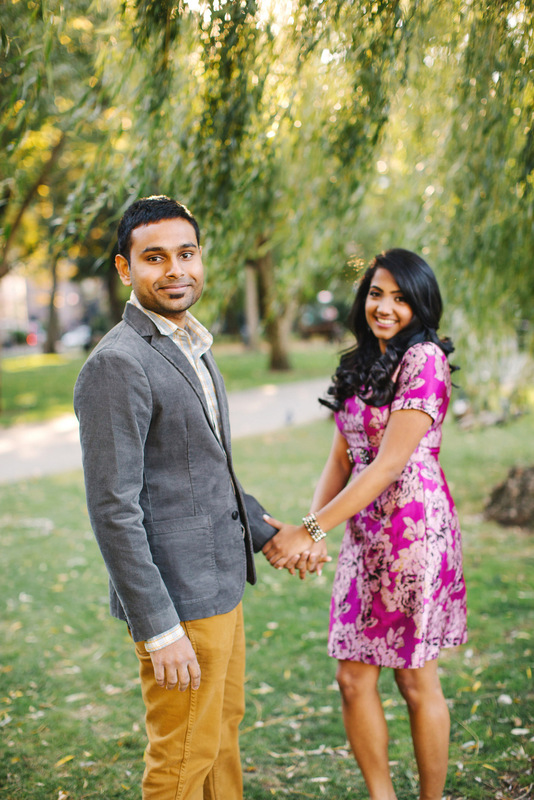 The pair lives in Washington, DC, but drove all the way up to MA for their engagement shoot. Incredible much? 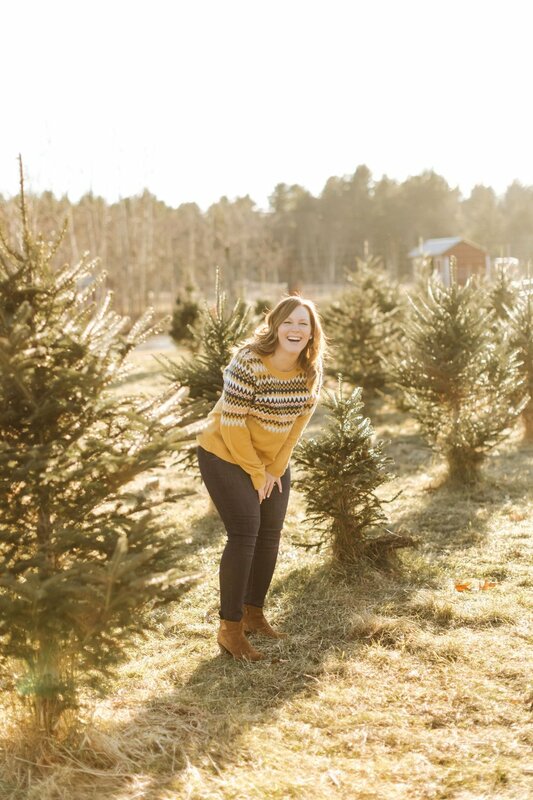 When they're not playing with their adorable dog, they love listening to thunderstorms, decorating their home with rustic little details, spending cozy nights in watching Netflix, and coming home with sunflowers when they need a little sunshine. I can't wait for their wedding!